"180 minutes until Rio 2016", this is the slogan that the Swedish national team has given its campaign for the upcoming three Olympic Qualification Tournaments that are played in Sweden, Denmark and Poland. However, 180 minutes - or three handball games of 60 minutes each - is what all 12 participating teams separate from their dream, the Olympic participation, when the qualification tournaments are played from Friday to Sunday. Eight of the twelve come from Europe, with Sweden hosting tournament no.1 featuring EHF EURO 2016 silver medallists Spain, Slovenia and Iran. In tournament no.2 hosts Denmark face EHF EURO 2016 bronze medallists Croatia, Norway and Bahrain. And in tournament no.3 hosts Poland play against Chile, FYR Macedonia and Tunisia. 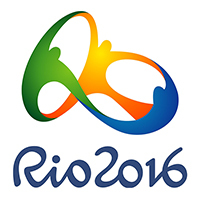 The first two teams of each tournament qualify for the 2016 Games. In Sweden the hosts count on the return of 'comeback' Kim Andersson. "The Olympic silver I won in London (2012) is one of the coolest memories I have in my career, and if I can help Sweden to get to the Olympics in Brazil, I happily do it," he says. "The national team showed in Poland (at the EHF EURO 2016) that it can compete with the best teams in the world, and if we make it to the Olympics anything can happen." Denmark will play their tournament in a sold-out Boxen Arena in Herning in front of 13,000 fans. "This is definitely an advantage, but nevertheless we face some difficult opponents who did better than us at the European Championship (Croatia came third, Norway fourth, while Denmark placed sixth). We really have to be at our best and give 120 per cent in order to qualify," Rasmus Lauge told TV2. Poland's Olympic qualifiers will mark the first challenge for head coach Talant Dujshebaev who took over at the beginning of March after his predecessor, Michael Biegler, had resigned when Poland failed to reach the semi-final at the EHF EURO 2016. "Despite the respect for our opponents and without being arrogant I have to say that we are part of the easiest tournament. So it is an obligation for us to qualify for the Olympic Games," Dujshebaev had told eurohandball.com in early March.